V-Care Clinic: Runners: Are you on right track…? Runners: Are you on right track…? Above line is absolutely true for runner. But expensive shoes doesn't assure that it will be right shoes for your feet. Achieving your desired goal for marathon needs consistent efforts & dedication. Injuries are not new for runners. These injuries are barrier for your training. Many times you assume that injury&/pain is happening due to excessive running for which your body is not habituated yet. But few injuries become long term like IT band syndrome, Achilies tendintis, Plantarfascitis(Heel Pain) etc. Right medical advice can help you on time to time recovery. Sometimes person has to give up their passion of running which is very disturbing for runners. This article is an attempt to give you new insight for your running injuries. Marathon running is a quest in which so many people help you to understand your body Physiotherapist, dietician, trainers and last but not the least Podiatrist are those expertise to whom you approach after getting any injury. Mentioned above all expertise you are aware but may not be aware of Podiatrist. Podiatrist we can say are foot doctors. Dear runners your feet are most important in living your "pace passion". "Podiatry is the field of medicine which deals with most important aspect of running i.e. shoes & orthotics." Yes you are right I am talking about Podiatry science. Most of the runners experience pain in calf, shin, heel even knees apart from that blackening of toe nails are few common problems which can be treated with Podiatry. Am I Pronator/Supinator? is common question asked by patients who are runner. This image is self explanatory about how to identify whether person is pronatory/supinator. 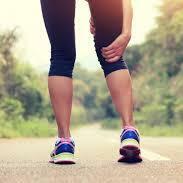 Pain in calf muscles: Typically described as tired aching legs. 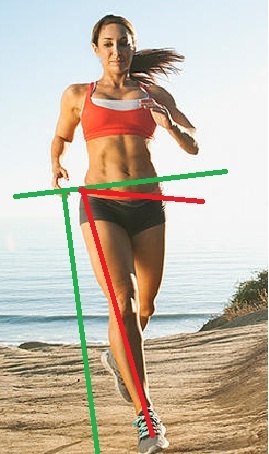 Because of faulty foot posture (Flat feet or high arch) can reduce efficiency of calf muscle. Toe nail blackening: Many runners use one size bigger shoes with misconceptions that foot swells after running. Due to this foot slide inside the shoes & can lead to blackening of toe nails. This way using tight or loose fitting shoes both can lead to blackening of toe nails. 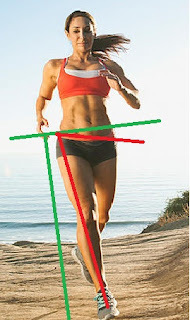 IT Band syndrome: Runners are very prone to ITB (Ilio Tibial Band) injury deu to following factors. Apart from above knee pain, back pain is also very common in runners and closely related to altered lower limb biomechanics. 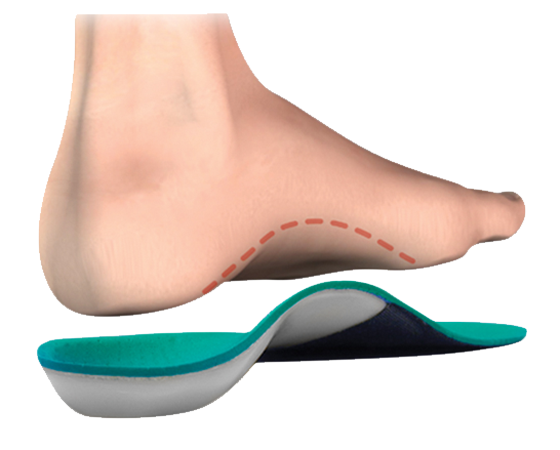 Many people pick up off the shelf available insoles & feel that they are sorted with their flat feet/any foot correction. But it is absolutely wrong. Orthotics need to customize as per your particular foot alignment which is expertise task. Podiatrist need to do through evaluation of lower limb biomechanics & then design orthotics accordingly. 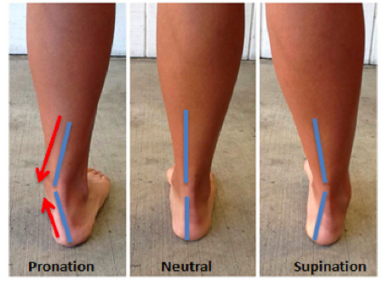 As mentioned earlier it’s not only pronation/supination issue but alignment all proximal joints is important. 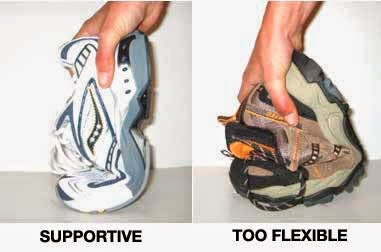 Before making orthotics it is important to be sure that your running shoes are appropriate. Following is basic guideline for shoes. Basic shoes test: There are few basic shoe tests are necessary, before going in arch pattern. Torsion Test—by twisting the shoe in opposite directions, this will check the stability of the soling. If the shoe twists over on itself, inadequate support. Counter Test—by grasping the heel of the shoe, apply pressure to the heel counter with your finger. If the counter collapses with little/no resistance, the shoe is not supporting the heel. 2. Shoe size: Shoes should appropriate to your foot size as well as width. If your foot is broad then you should buy Wide shoes & not a size bigger. After wearing shoes there should be thumb nail gap between shoe front & your longest toe. With proper traning, right shoes and orthotics can drastically boost your performance. V-Care Clinic is working in the field of Podiatry since many years. We follow guideline provided by UK Podiatrist. To know more about your feet & posture visit us.